Chances are you’ve never heard the name Kalinnikov. Tchaikovsky, Rachmaninoff, Stravinsky, Rimsky-Korsakov…of course. But Kalinnikov’s name should be among these other Russian giants. It is estimated that had he lived longer, he most certainly would have had a very successful career and, as a result, would be more well-known internationally today. Unfortunately, he died at a very young age from tuberculosis and we’ll never know what amazing music could have been. Still, he left the classical music world with some beautiful melodic pieces, including two symphonies with obvious Russian character and several piano, vocal, choir, and orchestral pieces. Kalinnikov was born in 1866 in Voina to a police officer. His father, who played the guitar and sang in the local choir, encouraged him to pursue music. He started violin lessons at an early age. The family moved to Oryol and thanks to his family’s ecclesiastic ties, he attended seminary, becoming the director of the seminary choir at the age of 14. Though he entered the Moscow Conservatory in 1884, he was forced to quit after a few months due to his inability to pay tuition. However, he did win a scholarship as a bassoon player for the Moscow Philharmonic Music School where he studied bassoon and composition. Poverty throughout his life caused Kalinnikov to find work as much as he could. He played violin, bassoon, and timpani with theater orchestras. He also worked as a copyist and his teacher, Kruglikov, also provided financial help. His talent, however, did not go unnoticed. Tchaikovsky recognized his potential and in 1892, recommended him as conductor for the Maly Theater and, later, the Moscow Italian Theater. Unfortunately, his health took a turn for the worse just a year later in 1893 and he had to resign. He had contracted tuberculosis. Kalinnikov moved to the warmth of South Crimea in search for a cure and it was there that he completed both of his symphonies and a variety of instrumental works. Through his music, he strove to portray rural Russian life and its scenery. He created colorful orchestrations and relied on melodies and rhythm to evoke traditional folk songs. His symphonies, in particular, show influence of the Russian masters like Tchaikovsky and Rimsky-Korsakov, but his Second Symphony also includes sudden and obscure modulations reminiscent of Borodin. The Symphony No. 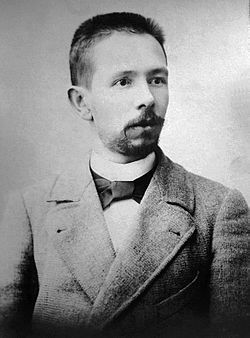 1 (written between 1894-1895) was dedicated to Kruglikov, his teacher who also helped him financially. Kruglikov was thoroughly impressed by the score and sent it to leading conductors in Russia. The work was premiered at the Russian Musical Society in Kiev in 1897 to an audience that gave both the second and third movements an encore. If you’re curious why, come hear the Parker Symphony Orchestra perform the second movement in February! Unfortunately, Kalinnikov would spend his remaining days in Crimea. He received some financial relief from Rachmaninoff who visited and saw his poor living conditions. Rachmaninoff also contacted his publisher who paid for three of Kalinnikov’s songs and offered to publish the Second Symphony. Rachmaninoff also arranged for the publication of the piano arrangement of his First Symphony. Sadly, Kalinnikov died before he was able to benefit from most of these arrangements, around the time of his 35th birthday. The publisher offered Kalinnikov’s widow an unexpectedly high payment for the remaining manuscripts because the composer’s death multiplied the value of his works by ten. In Russia, his First Symphony remains in the repertory and his place in Russian musical history is secure. And hopefully with more performances in the US and elsewhere, his name will become more familiar with music fans worldwide. If you’d like to hear the second movement from his First Symphony, come hear the Parker Symphony Orchestra in February. This entry was posted in Composers and tagged music education, russian composers by Shari Mathias. Bookmark the permalink.